A Mexican inspired dish designed to please. This super simple recipe by Hippie Hermione is great anytime and can be enhanced more or less for the varying tolerance levels. Place the rib eye steak in a container and drizzle 1 tsp of the infused olive oil over steaks and sprinkle with black pepper. (Note: This is a step in which you can add an extra tsp of oil for additional infusion.) Allow the meat to infuse and set for at least 30 minutes prior to cooking. I prefer to keep my steak on the counter and infuse at room temperature. Place your grill over medium heat, and once to temperature, cook the steak to your desired serving preference. 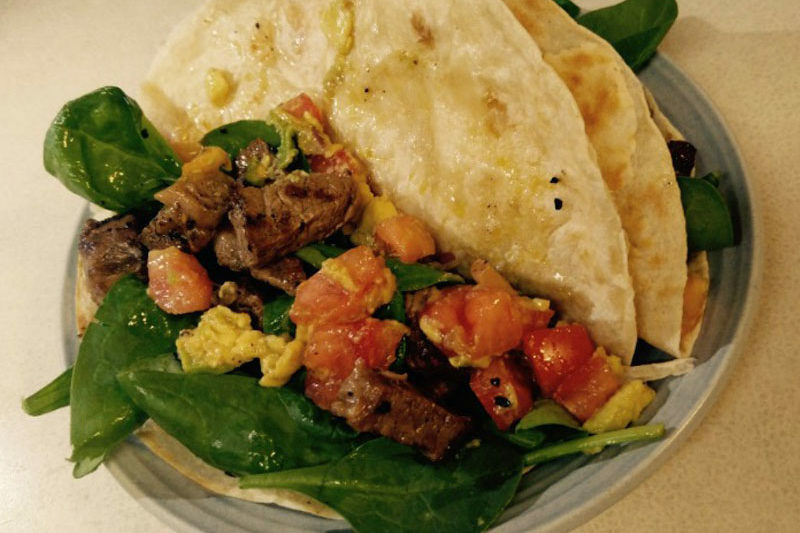 Warm the tortillas in a skillet and when the steak is ready, turn off the heat. 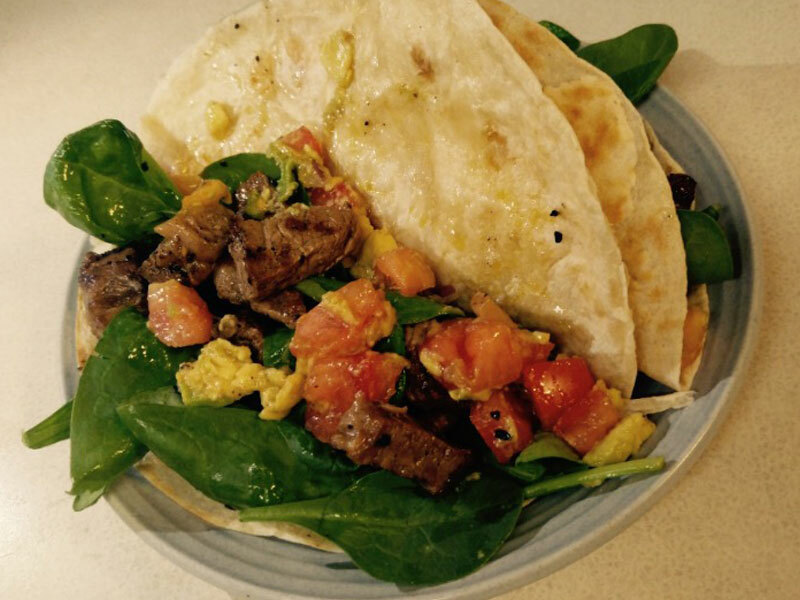 Distribute the steak evenly among the 4 tortillas, add the avocado/tomato mixture ensuring to drizzle any additional oil over the steak and fill with spinach.